Stereotypes are dangerous, especially when they are used by demagogues. Slogans, which remind the historian of darker times in human history, however, reappear again in a growing number. As companions of the rise of right wing forces in Europe they make up ground in more and more regions and gain momentum in the political debate. 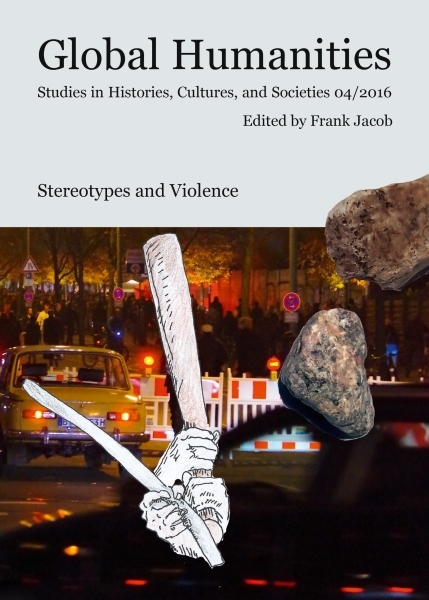 It consequently seems to be more than important to focus on and closer analyze the interrelationship between stereo types and violence in modern societies. The fourth volume of Global Humanities tries to achieve such a broader analysis and provides reading in the fields of history, political science, gender and media studies. The authors show and emphasize in which ways the two above named factors are interacting with each other and influencing the popular opinion in modern nation states. Topics that are covered include Anti-Italian riots in Zurich at the end of the 19th century, a discussion of the interrelationship of racism and violence in Germany since the 1980s, and an analysis of gender based violence in Serbia. In addition, the persistence of stereo types in entertainment is closely studied by taking a look on Sinti and Roma depictions in current European films. Mit Beiträgen von Oliver Betts, Andrew Fuyarchuk, Biba Hadziavdic, Hilde Hoffmann, Barbara Manthe, Benjamin Nickl, Bojan Perovic, Sylvia Sadzinski und Victoria Shmidt.